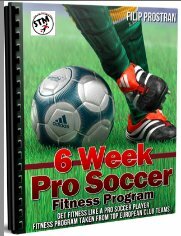 Soccer Drills and Skills Done By the Pro's! 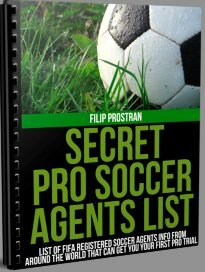 All the soccer drills and footwork skills you've always wanted, taken from pro teams I've played for in Europe. Always wanted to have a touch like a pro? And wondered what sort of drills they do to get their feet so technically sound? All the answers to your questions below. Pro Target Practice Drill, Can You Beat a Pro's Score? What Do I Get From Doing These Soccer Drills? Well, if you're trying to improve (which you always should be) your footwork on and around the ball these drills help with that unteachable trait all great players possess, composure. What Skills Exactly Do These Drills Help Me Develop? Do I Have to Do These Everyday? First, you don't have to do anything. The question you should be asking is “what else can I be doing besides these drills everyday?” If you're serious about playing professionally their can be no dents in your armour. Neglecting one part of your game will only lead to trouble down the road. So to answer this question the answer is these should be done as often as possible and there is no reason you can't set a side 30min in day and get your skills up. -These drills can be difficult so don't kill yourself if it's not going great early. You will see the results if you put in the work. -Don't become complaisant by doing just the bare minimum or leaving out a part of the drill. -You have access to drills that separate you from others so do them with drive in your heart and a smile on your face. -Every time you do them try and do just a bit better then the time before. No need for unrealistic expectations and take it baby step by baby step. -You're better off not doing them then just trying to whip through it. -Important to stay sharp but spread your wings and really make an effort to develop the technical soccer skills that you're not as strong at. It's easy to practice what we are good at because somebody is watching or it just feels good but we don't grow as players. Work that left foot or whichever other soccer skills may be your weakness. -Just because you're starting to really get good at them doesn't mean your development is complete. Always challenge yourself to complete them with more accuracy each and every time. Can I Add or Adjust these Drills a Little? Absolutely, you should use these as they are written to start off with but as you get more comfortable with them feel free to adjust and tinker them any way you see fit. It's about customizing them to fit your needs, yes these skills teach the basics but if you see an element not being used that you really need to work on by all means throw it in there. You'll then create your own unique high skill level drill that nobody else has. Got two left feet? This is where changing that starts. I remember thinking when I started playing professionally for the first time that my foot work and simple fundamentals were at a high level. I thought just simple stuff such as passing, shooting and the way I receive the ball couldn't be improved much more. After realizing how other pro's trained with such speed and perfection that I had to work twice as hard to stay there then I did to get there. That started with the polishing and perfecting the fundamentals, and these drills are a great start to getting there. So if you're the type of player that is constantly striving to get the best out of your self each and every training session then you know that your growth in the game is truly never finished. The soccer skills above will feed that hunger for striving for your best that you wake up every morning with. Remember a great player is a complete player, and to improve your foot work in the shortest amount of time you need touches, pure and simple touches and familiarity with the ball at your feet and these soccer drills will do just that.